Cut the bread in half lengthwise. 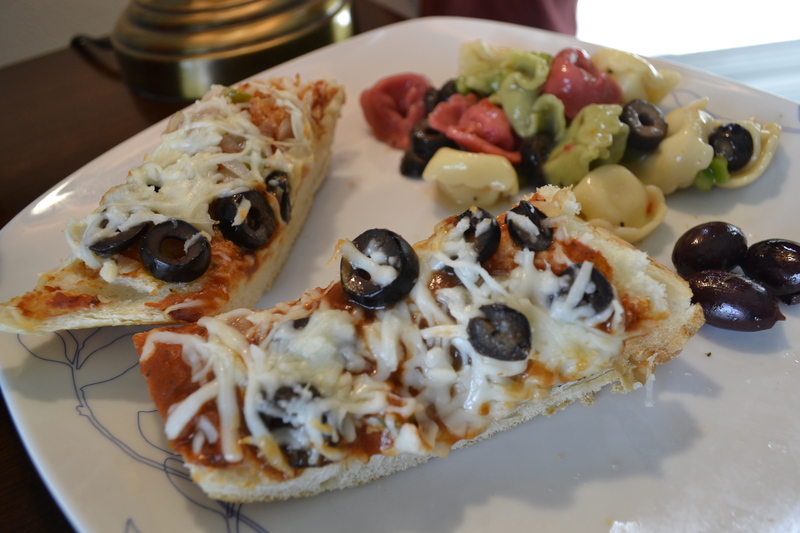 Make whatever toppings your family likes such as, sauteed bell peppers, sliced olives and of course cheese. Be creative and use what you like. Place bread on baking sheet. Open the sauce and spread over each half of the bread. Put toppings evenly on the bread, top with cheese. Put in oven until cheese melts and bread is warm, approximately 10 minutes. When it’s cool enough cut into slices and serve.